DC article on Hammocks contract has the normal incentives plus incentives for getting into the CFP, winning a game and winning the National Championship ($250,000). The normal incentives would add about 50 to 100,000 to his pay. Heck if he wins the national championship I think he'd deserve a little more than $250,000. Also the contract stipulates $1,000,000 for ten assistants salaries. NIU needs to start a foundation that pays coaches part of the coaches salaries which would be funded by donations. Some schools even have endowed chairs for the coaching positions. Does he get a bonus for just making it to the MAC Championship like Carey or does he need to win it? I like the part about paying assistants more. (01-25-2019 10:34 AM)JKHuskie45 Wrote: I do not get this. Seems like they low balled him. Carey was going to make $675k and Coach U $125k. If school is broke and and Carey never left how were they going to pay him? Also, our MAC coach should not be among the lowest paid, since we are not finishing in the lower part of the standings. NIU is arguably the best MAC coaching position in conference and should be treated as such. Finally, I believe the University got a $1.8 million check for the FSU game alone last year. You would think they would value the football program a little more. Why would you pay somebody more than you have to? What kind of business model is that? Why would you pay somebody less than all your competitors and keep expectations of outperforming them? A business model that tells the employees you value their positions and shows the seriousness of the program with respect to it competitors (other MAC teams). Also, being properly compensated raises employee engagement. NIU is all about more with less. The school is in a pretty dire situation because of the state and rapidly declining enrollment. Don't believe me? Walk into Reavis Hall and tell me what you see. Carey was on the high side of what NIU could afford. And his salary was ranked 103 of the 130 FCS D1 coaches. So why would they go all in and give the top of their budget away to an unproven head coach? What do you see when you walk in Reavis Hall? I would think that's quite the opposite. (01-25-2019 10:43 AM)7 Wrote: Why would you pay somebody more than you have to? What kind of business model is that? (01-25-2019 10:55 AM)JKHuskie45 Wrote: Why would you pay somebody less than all your competitors and keep expectations of outperforming them? So if it isn’t lower academics, lackluster campus life we can now add failing infrastructure. Sounds like an overwhelming endorsement of the school. Tell me again why anyone should go there? (01-25-2019 02:20 PM)HawaiiToNIU Wrote: NIU is all about more with less. The school is in a pretty dire situation because of the state and rapidly declining enrollment. Don't believe me? Walk into Reavis Hall and tell me what you see. Here's my personal endorsement. The students at NIU have that same chip on their shoulder that the football team has. They wish they went to a bigger, better school, but the cards just didn't roll that way. (#TheHardWay) Me and many of the kids there, were from families where we were among the 1st generation to go to college. I like many others, looked at all the schools we got accepted to, and for us, Northern was the most affordable option. The next thing I love about the place is, the culture breeds overachieving hard workers. We don't have the buildings or the athletics of major programs. And heck, our best professors are poached by bigger schools. But we make best with what we have. Our professors and visiting alumni would always say, "you'll graduate from here one day. You'll graduate with the same piece of paper that every graduating kid in the country will have. These kids from bigger universities will have more accolades and more prestige than you. And with that, they'll refuse to do work they feel is beneath them. 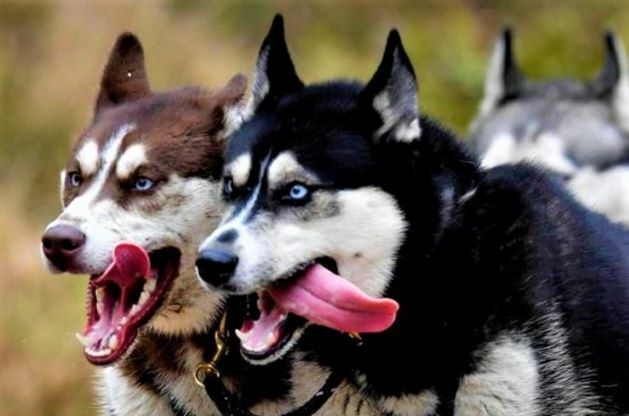 But not you, because you're Huskies, and you'll grind it out. And that's why I'll hire you over any U of I business student, and why you'll go further than any of those kids." I've taken this advice personally, and have seen other workers from bigger schools refuse to do the hard work. Like I said, we do the best with what we have. And in the partying side, we tried are best. $5 cup Busch Light keggers from Lundeens, $0.20 wings from Molly's, and Fried Potato Salad from Fatty's. We only had a handful of bars, but we made it a blast. (01-25-2019 08:45 PM)huskie1stdown Wrote: What do you see when you walk in Reavis Hall? Our professors and visiting alumni would always say, "you'll graduate from here one day. You'll graduate with the same piece of paper that every graduating kid in the country will have. These kids from bigger universities will have more accolades and more prestige than you. And with that, they'll refuse to do work they feel is below them. But not you, because you're a Huskies, and you'll grind it out. And that's why I'll hire you over any U of I business student, and why you'll go further than any of those kids." I've taken this advice personally, and have seen other workers from bigger schools refuse to do the hard work. Good for you! Attitude is everything. Proud that NIU is still producing alumni like yourself. DeKalb and NIU have their challenges but the experience really is what you make of it. Go Huskies! (01-26-2019 07:16 PM)JHG722 Wrote: ...$500,000 a year? Yup. He’s an unproven head coach. I’m sure they have incentives built . Also as long as we’re winning they will continue to renegotiate his contract. My guess is he took the smaller contract to start off so he can afford to bring in a good staff. It includes an additional $100,000 for media responsibilities. At $600,000, he is just slightly under Carey’s $633,000.